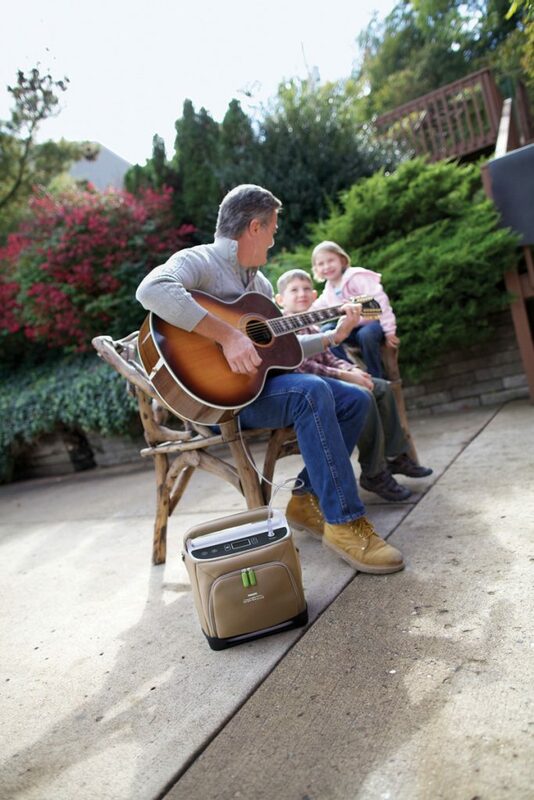 (FAA Approved Oct 31, 2012) The SimplyGo is the newest portable oxygen concentrator from Philips Respironics, the same manufacturer of the EverGo. We offer rentals and sales of this unit. The smallest machine that will deliver a continuous flow source of oxygen at 2 LPM (Liters Per Minute). 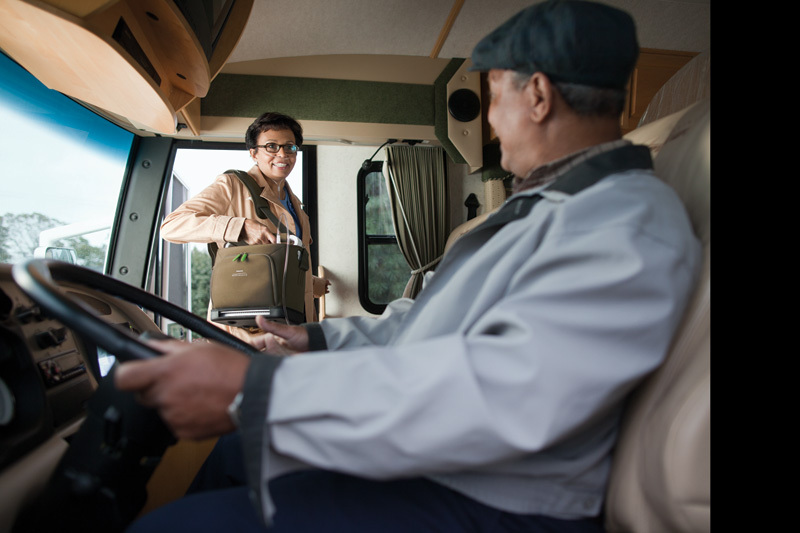 The SimplyGo portable oxygen concentrator is a great option for people traveling while using oxygen therapy. This is also the first continuous flow machine that can be carried on your shoulder. All other continuous flow portable oxygen concentrators do not have an option to sling over the shoulder, due to the size. 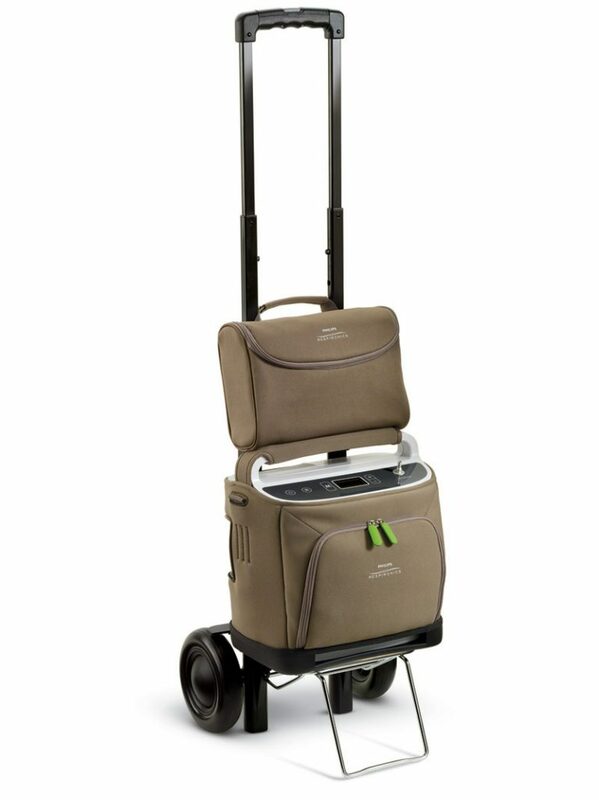 The SimplyGo also has a cart with larger wheels for smoother transport and a retractable handle. The SimplyGo is a durable machine. Philips Respironics definitely took into consideration all the feedback from the EverGo. The way the machine attaches to the cart is a much smoother process. The user interface is easy to operate and easy to read. The large handle on top makes grabbing and going a very easy process. 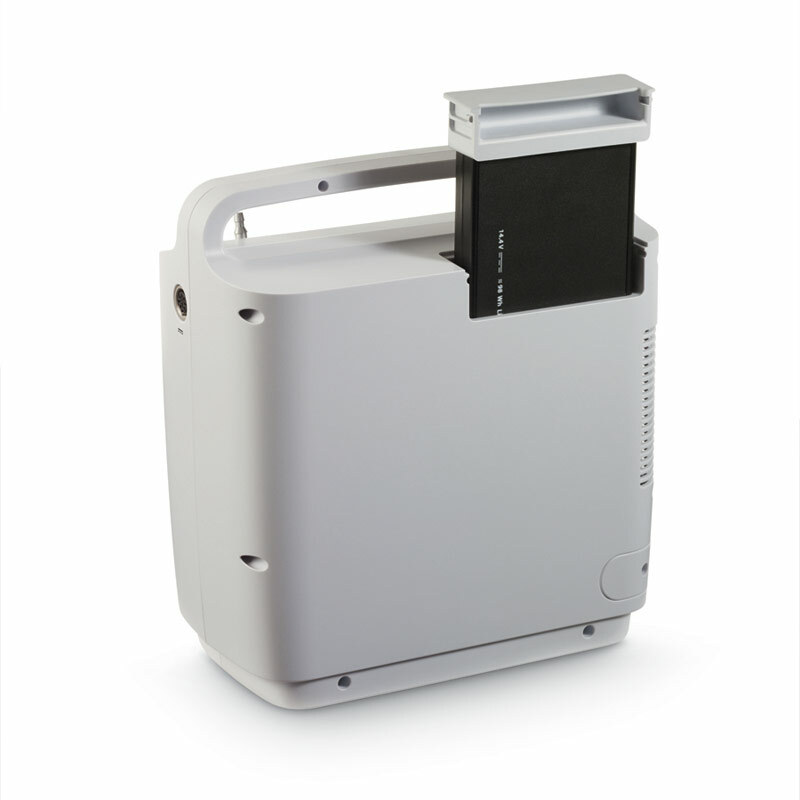 At 10 lbs (4.5 kg), the SimplyGo is half the weight of other portable oxygen concentrators that will deliver a continuous flow. The dimensions are 11.5 in x 10 in x 6 in. It offers 86-97% oxygen concentration at all settings. The SimplyGo is quiet, the decibels at a setting of 2 are ≤ 43 dB. The SimplyGo has a Lithium-ion Battery. The battery weighs 1.5 lbs (.7 kg) and its dimensions are 0.9″ x 7.4″ x 4.6″ (2.7cm x 18.8 cm x 11.7 cm). Advanced Aeromedical offers short term rentals of the SimplyGo portable oxygen concentrator. Have a trip coming up soon? We can have the SimplyGo shipped overnight to your doorstep for you to take anywhere in the world. We have multiple rental options for different needs. Call us at 1-800-346-3556 to rent the SimplyGo, send us a message from our contact page, or email us at info@aeromedic.com. 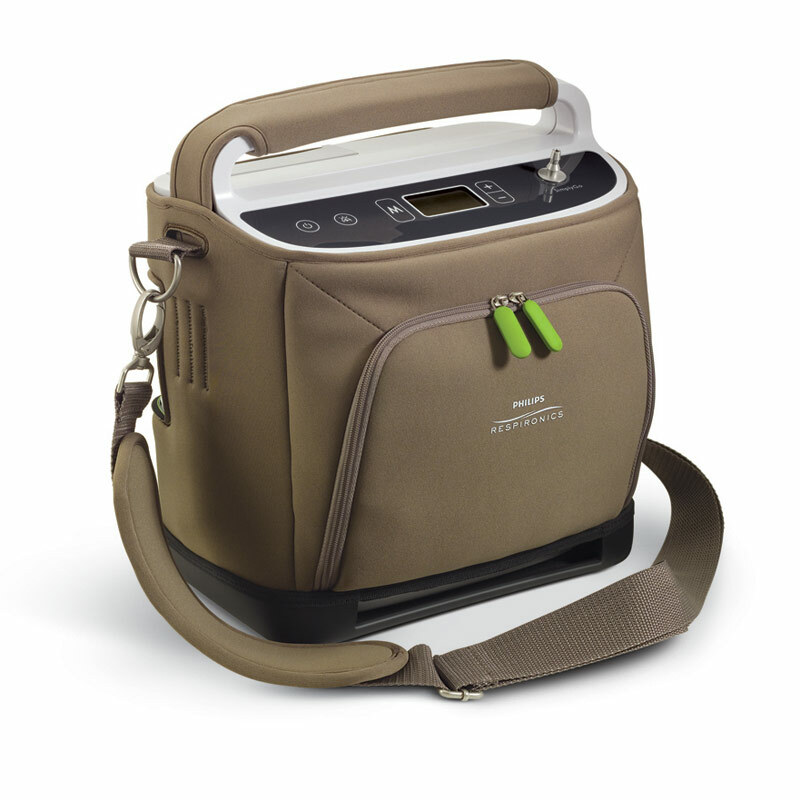 Advanced Aeromedical sells the SimplyGo portable oxygen concentrator. If you travel more than a few times a year, buying a machine is an option for you. 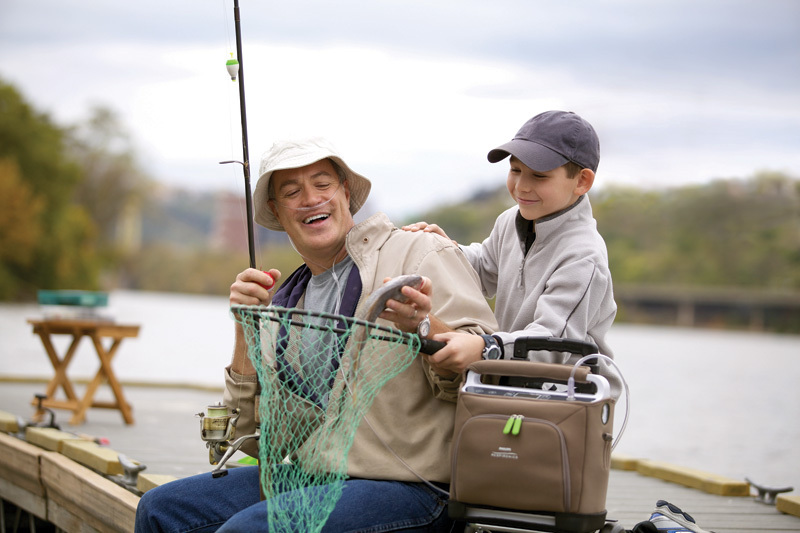 We sell the SimplyGo portable oxygen concentrator for a great deal. Anyone that buys a machine from us, automatically becomes apart of our lifetime loaner program. We are on call 24 hours a day, 7 days a week to assist with any questions or concerns. Should a replacement unit be needed, we can overnight or in some cases offer same day delivery of a replacement unit. The point is, we are here for our clients. We are not only offering a product, we are offering our professional service and support as long as you possess the SimplyGo portable oxygen concentrator. Phillips Respironics offers a great warranty program, 2 years with available add-on extended warranties at 3 and 5 years. Call us at 1-800-346-3556 to get a special internet sales quote for the SimplyGo, send us a message from our contact page, or email us at info@aeromedic.com.